When will be Donal Macintyre: Unsolved next episode air date? Is Donal Macintyre: Unsolved renewed or cancelled? Where to countdown Donal Macintyre: Unsolved air dates? Is Donal Macintyre: Unsolved worth watching? Donal Macintyre revisits so-called 'Cold cases' that have never been closed to see if he and his team of experts can uncover details in the case that were maybe missed the first time around. Valerie Graves was murdered with a claw hammer whilst house-sitting a £1.6 million property. Police do not believe that Valerie knew her killer. Trevor Deely vanished from the streets of Dublin in December 2000. His disappearance was the subject of a high-profile search and publicity campaign, but no trace was ever found. Penny Bell was stabbed 50 times in the chest and arms. Nobody has ever been convicted of her murder. She had withdrawn £8,500 from her bank the day before, which was never found. Caroline Glachan's body was found dumped face down in a river, her head smashed open. It was later revealed that she was still alive when put in the water. Her killer still roams free today. Donal Macintyre: Unsolved next episode air date provides TVMaze for you. 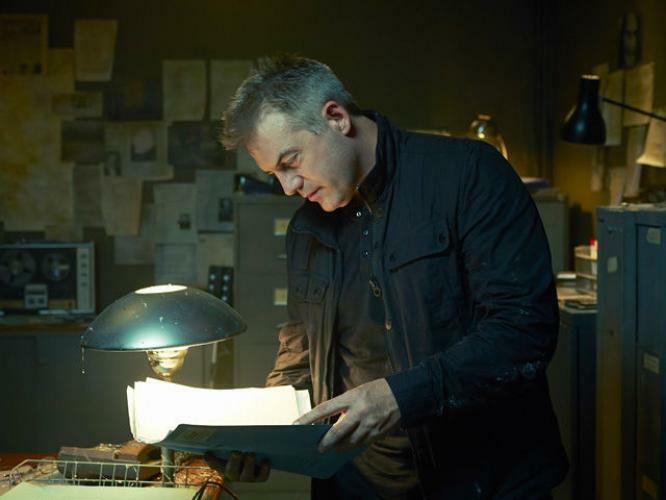 EpisoDate.com is your TV show guide to Countdown Donal Macintyre: Unsolved Episode Air Dates and to stay in touch with Donal Macintyre: Unsolved next episode Air Date and your others favorite TV Shows. Add the shows you like to a "Watchlist" and let the site take it from there.